Zinoto is a Brawl and Smash 4 Diddy Kong main from Michigan. In Brawl, he is widely considered to be one of the best Diddy Kong mains in the world (alongside ADHD and Gnes). Zinoto started on the All is Brawl WiFi ladder in 2009, but didn't enter offline competitive Brawl tournaments until the fall of 2011. He has taken sets off of many top players, including Dabuz, Earth, Rich Brown, Ally, Shugo, Nick Riddle, Tyrant, NAKAT, and Larry Lurr. He is ranked 1st on the Michigan Brawl Power Rankings. In Smash 4, Zinoto is considered to be the best Diddy Kong player in the world following ZeRo's retirement. 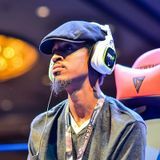 Throughout his career, he has beaten many top players including Salem, Nairo, MkLeo, Dabuz, Larry Lurr, Elegant, WaDi, tamim, Ally, and Abadango. He is currently ranked 2nd on the Midwest Smash 4 Power Rankings, 1st on the Michigan Smash 4 Power Rankings and 24th on the Panda Global Rankings 100. Zinoto also plays Dr. Mario in Melee. Zinoto is known for wearing his signature scarf to all the Smash tournaments he attends: a burgundy, knitted one with his gamer tag and the University of Michigan logo embroidered on it. He also commonly wears a newsboy hat. Zinoto plays secondaries in Brawl for the sole purpose of not having to play the Diddy Kong ditto as it is his least favorite matchup. Zinoto has a twin brother (who goes by the gamer tag ????). This page was last edited on April 21, 2019, at 15:57.